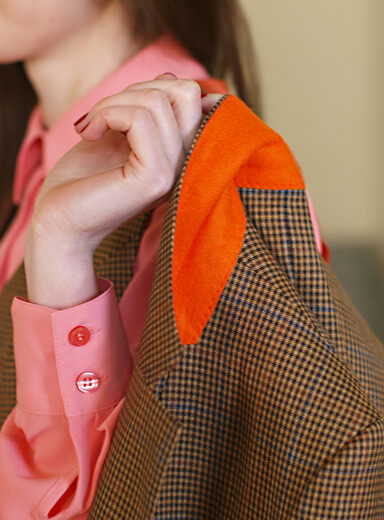 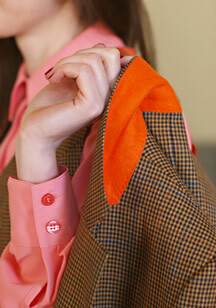 Jackets with contrast collar meltons. 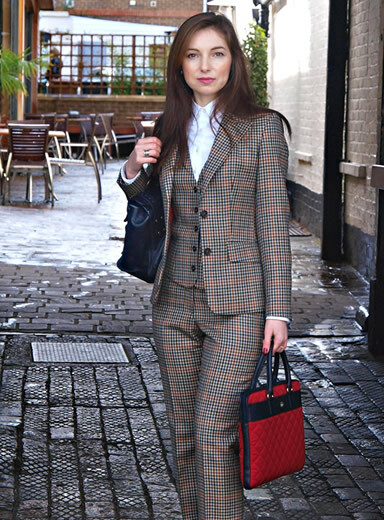 Classic tan over check 3 piece in 100% wool. 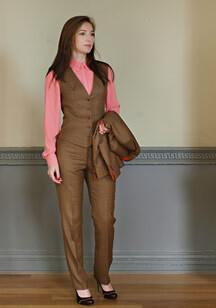 Every woman understands the importance of looking and feeling their best. 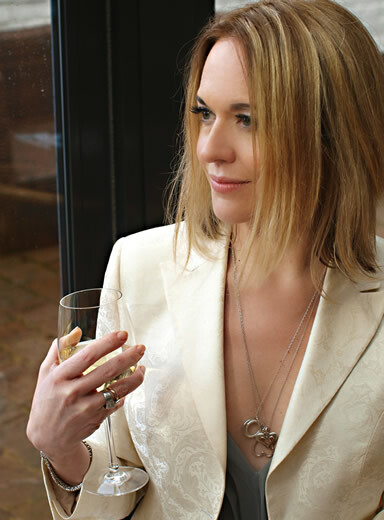 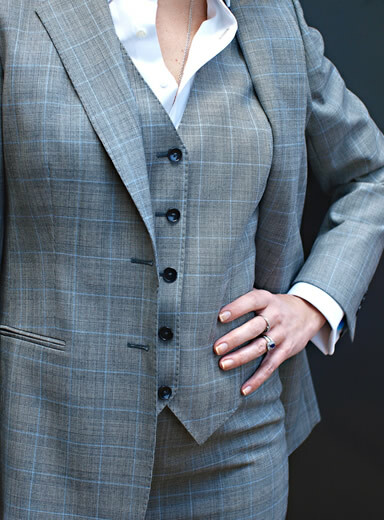 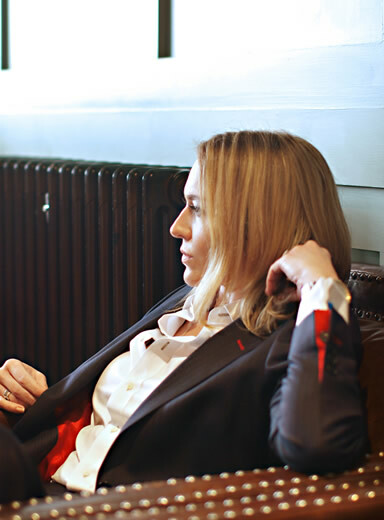 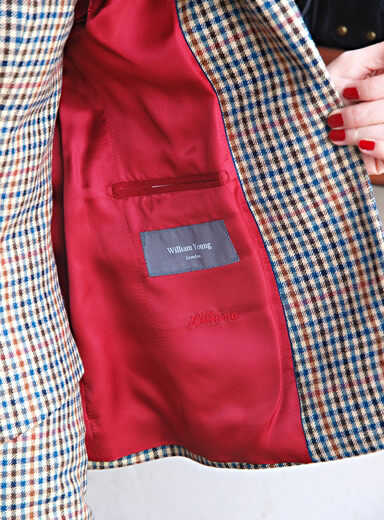 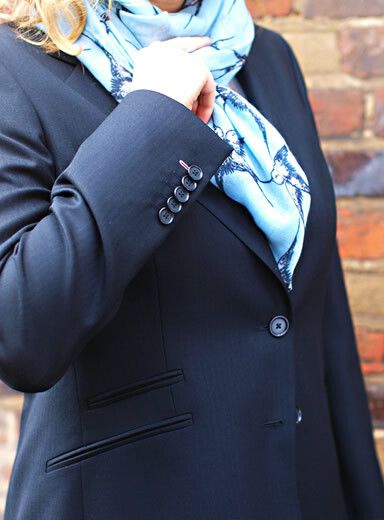 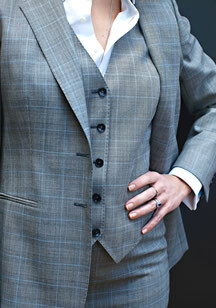 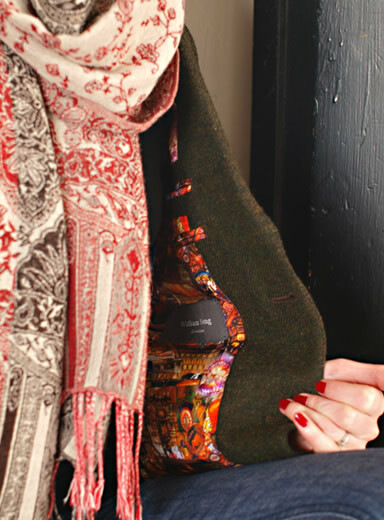 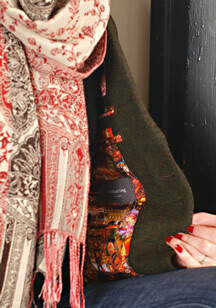 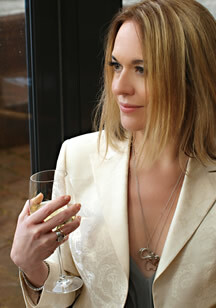 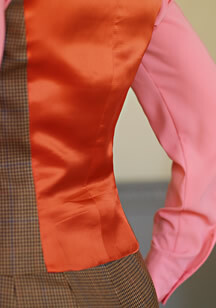 Made to measure ladies wear by William Young ensure that all shapes, sizes and combinations are catered for. 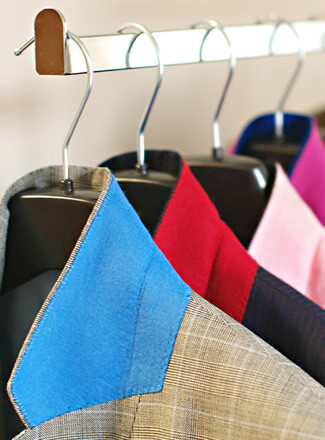 Jackets, skirts and trousers are made specifically to fit your shape and personality. 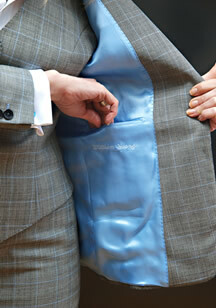 Every consultation is tailored to your requirements to ensure elegance and design, coupled with a perfect fit. 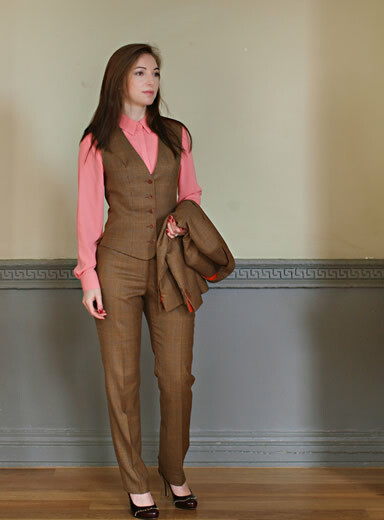 Country check 3 piece with peak lapel in luxurious merino wool. 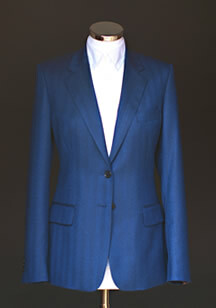 Classic Prince of Wales with blue over check (summer weight). 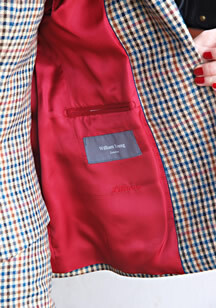 Classic prince of wales check with blue overcheck. 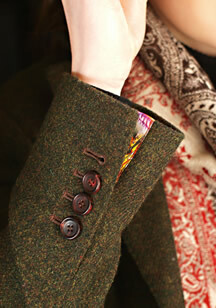 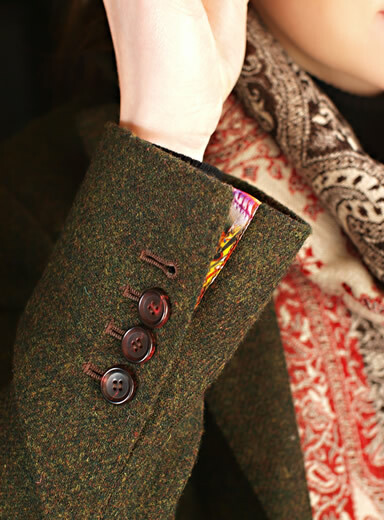 Fine wool forest green jacket with chocolate brown elbow pads and bespoke lining. 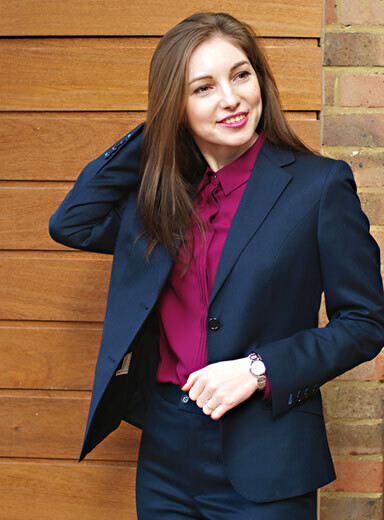 Dark navy 2 piece with notch lapel in 100% wool. 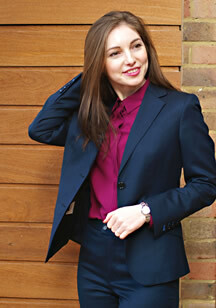 Navy herringbone with slanted pockets. 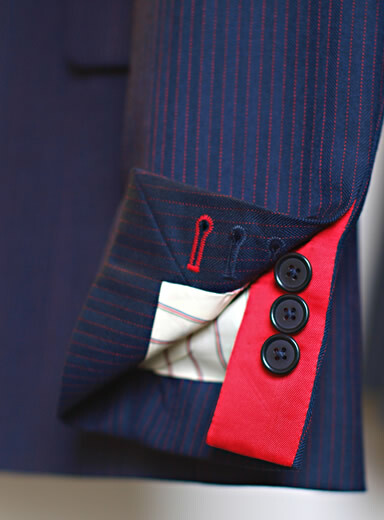 Navy red stripe suit with contrast scarlet lining. 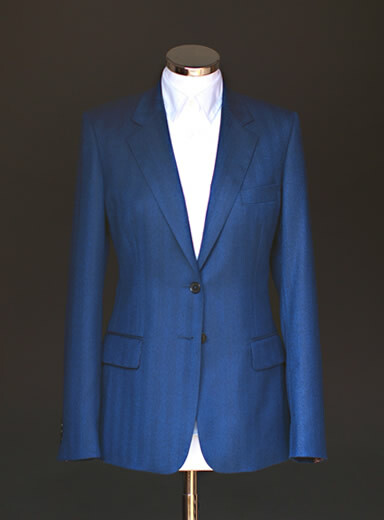 Navy blue self herringbone with flap pockets (mannequin). 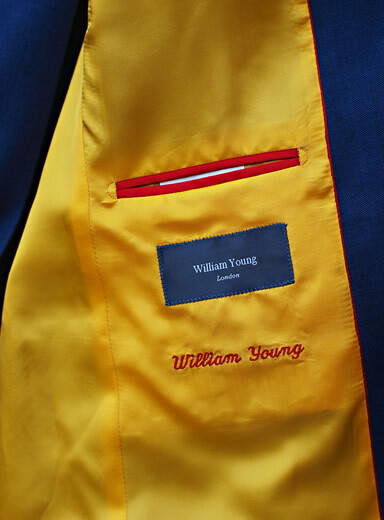 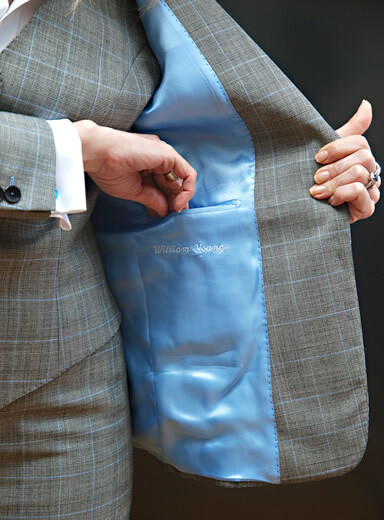 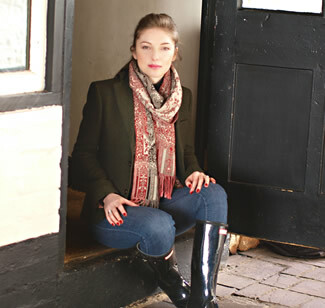 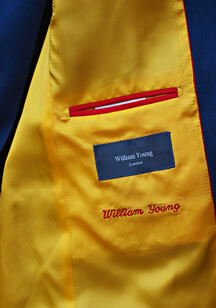 William Young Tailors are located in Berkhamsted, Hertfordshire. 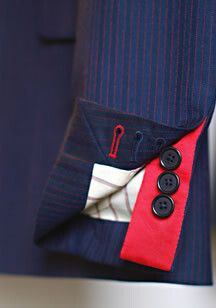 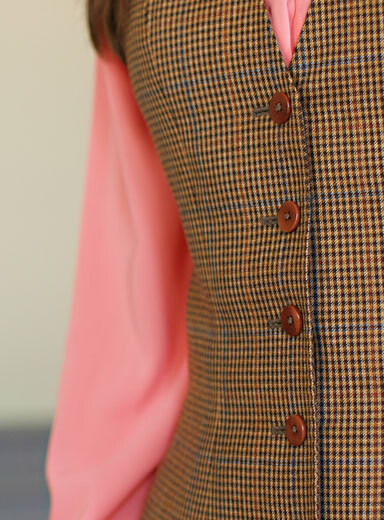 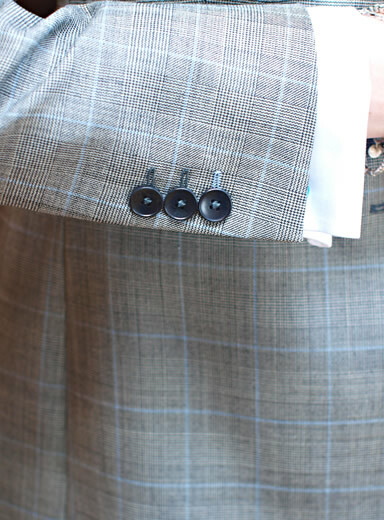 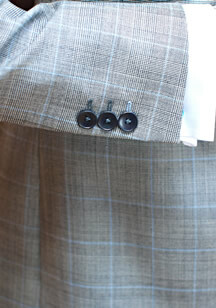 We are experts in tailoring, offering appointments at evenings and weekends. 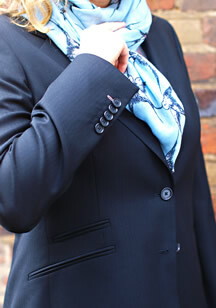 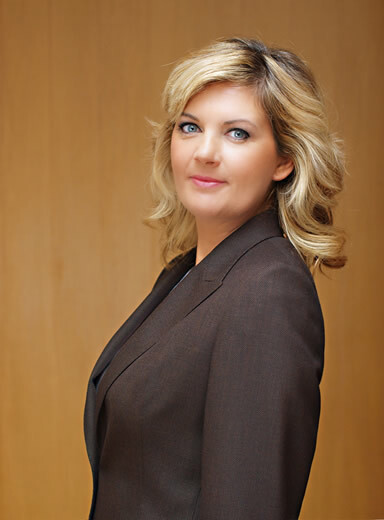 Call to arrange a consultation.